Siam Kyudo Kai: Congratulation for Shodan! During last month, an envelop from International Kyudo Federation was sent to us. And as expected, it is a shodan certificate for our member who attended to Asia Oceania seminar early this year. It made everyone very happy and proud to see second generation of kyudo practitioner from Siam Kyudo Kai pass through the first official step in Kyudo. 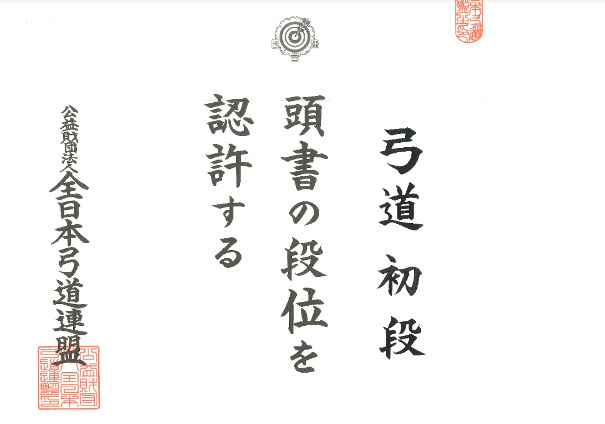 This is the most important certificate in Kyudo career in my opinion. Congratulation again to Mr. Pongsak, Mr. Suthat, Ms. Gaysinee and Mr. Anubhap.